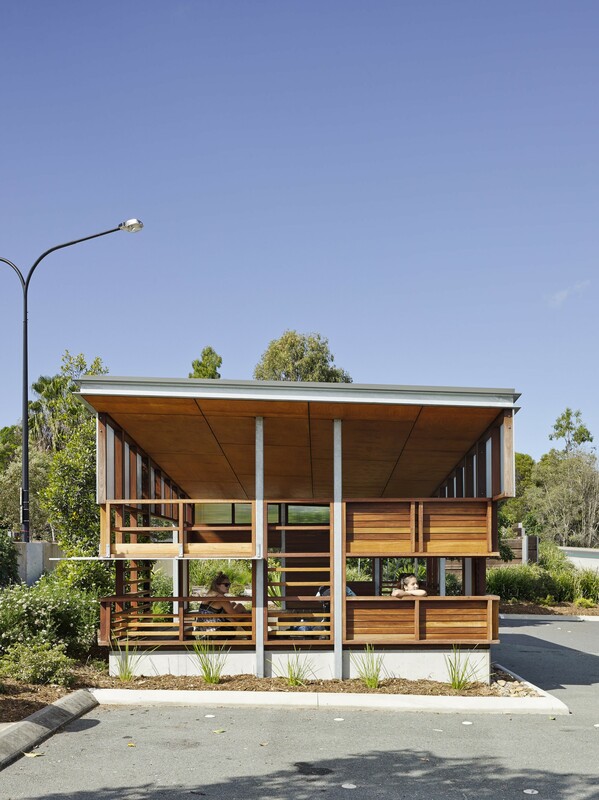 As an addition to the Noosa Junction Station project in Noosa Heads, the Mini Bus Shelter maintains the same design ethos – where built form sits equally and carefully nestled in a natural endemic landscape providing safety and comfort for those in transit. 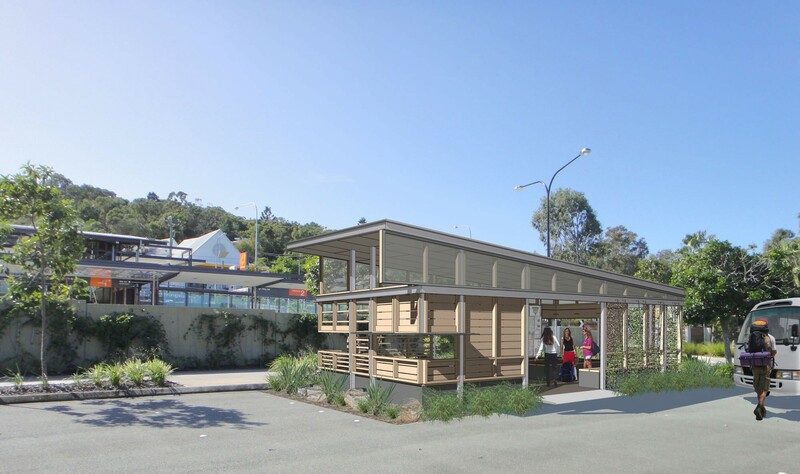 After completing our work on the Noosa Junction Station project, we were glad to be reengaged for the design of an accompanying Mini Bus Shelter space in the same vicinity. The shelter was built on a space that was vacated after a mature fig tree was blown over during a storm. 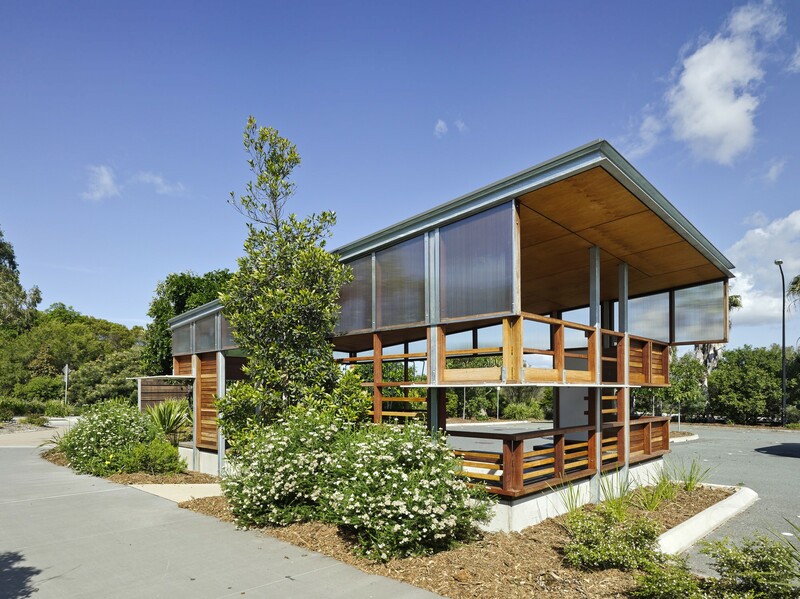 Designed for the Sunshine Coast Council, the structure provides shelter from the rain and the south east wind for patrons waiting for local backpacker mini buses. Taking visual clues and references from the existing Noosa Junction Station structures, the Mini Bus Shelter drives a cohesive design approach so that the entire site has an integrated look and feel. This approach supports our overall design vision for the enclave, which is focused on creating a natural landscape place for Noosa.